Maximizing Progress: Yuri Gagarin ~ Astro Epic Hero Cosmonaut! 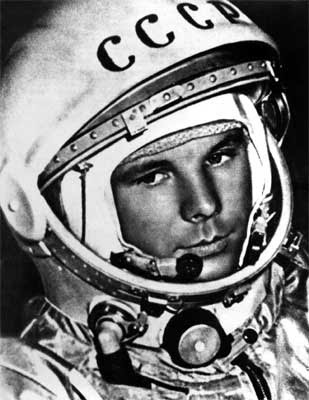 Yuri Gagarin! First human to journey beyond our cradle and into space! 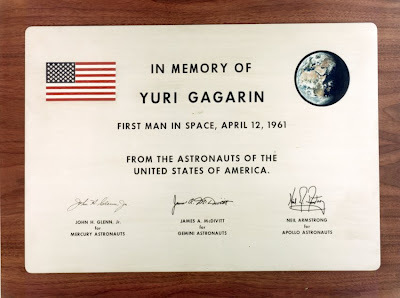 His Vostok spacecraft orbited Earth on April 12, 1961, a half-century ago. Epic! He is one of the Russian giants of spaceflight, rocketry, and cosmonautics in a pantheon including Konstantin Tsiolkovsky, Sergei Korolev, Valentina Tereshkova, and Nikolai Kardashev.